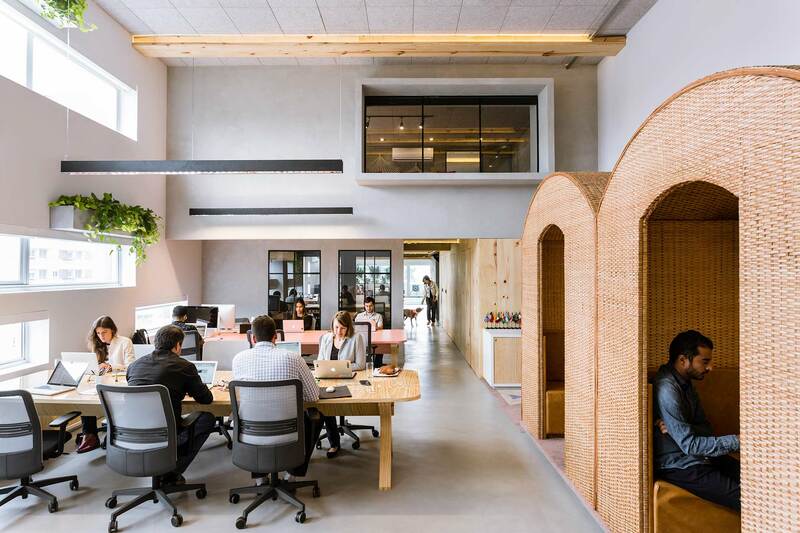 São Paulo is an emerging market for us, so we were excited to be able to give the team a mature, robust, and beautiful office that would support the work they’re doing. They had been working from smaller start-up spaces that they had outgrown, so we were tasked with helping them take the next step into a new space. 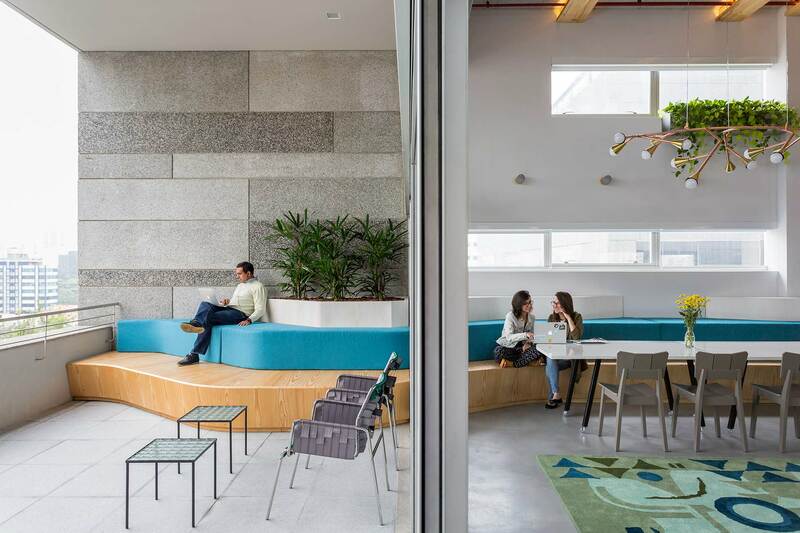 The new Sao Paulo office is a reflection of both the culture of the office and the country it is in. We partnered with Sao Paulo based design firm MM18, who have a strong knowledge of Brazilian culture and design. We wanted the office to truly belong to the culture of its country, so we engaged local fabricators, furniture designers, textile makers, and industrial designers to bring this to life. Located in the Villa Madelena neighborhood, known for its community of makers, the office feels seamlessly integrated into its environment. In addition to working with local makers, we also wanted to weave the rich design history of Brazil into the space. The Perimeter, bench and terrace seating that surrounds the kitchen, is inspired by the work of Burle Marx, a Brazilian landscape architect. This is an homage to his work, while also serving as functional space for the team, allowing room for large gatherings such as presentations or all hands meetings. engaged local fabricators, furniture designers, textile makers, and industrial designers to bring this to life. In our research phase, we spent a lot of time with the team, observing how they work and learning their rituals. They are a close knit group, and place a lot of importance on team oriented routines. For example, they consistently eat breakfast together, and break for coffee in the afternoons. An important challenge in the new space was to ensure these rituals did not get lost, that they were able to maintain what was important to them. In order to address this, we designed the office around a shared kitchen. Designed as an open place to gather, both during meals and other times throughout the day, it became a central point of the office. A constant thread through all our offices, the conference rooms here reference real Airbnb listings. 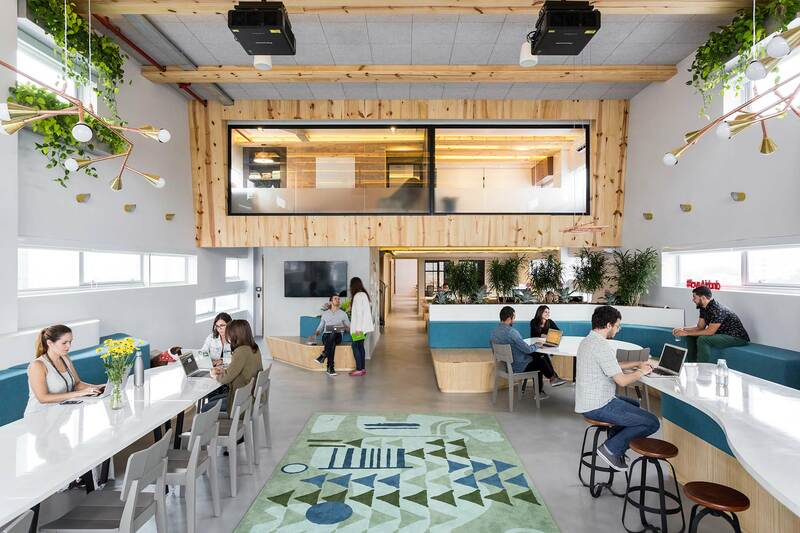 This allow us to celebrate the global reach of Airbnb, while also acting as inspiration to employees, who can have meetings in homes from Mar Azul, Montreal, and Rio de Janeiro. Aaron Taylor Harvey is an Environments Creative Director at Airbnb.